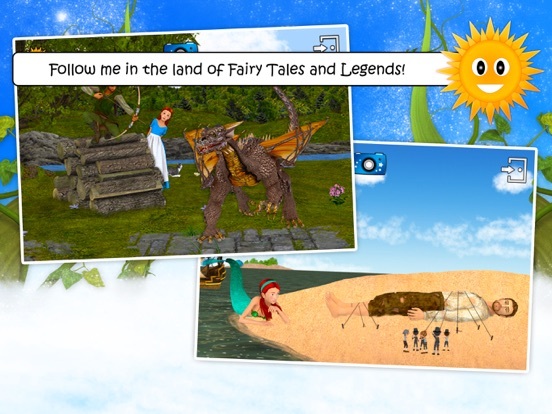 In the same collection as our game "Find them all: looking for animals", here is a new universe of Fairy Tales and Legends! 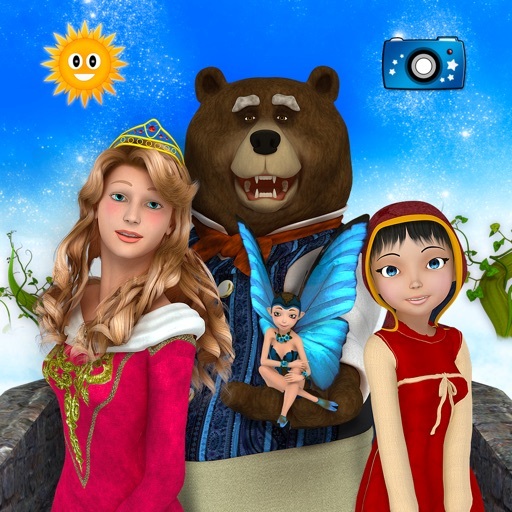 Find the characters from your favourite fairy tales through this multi-activity, hidden object game for children aged 2 to 8. 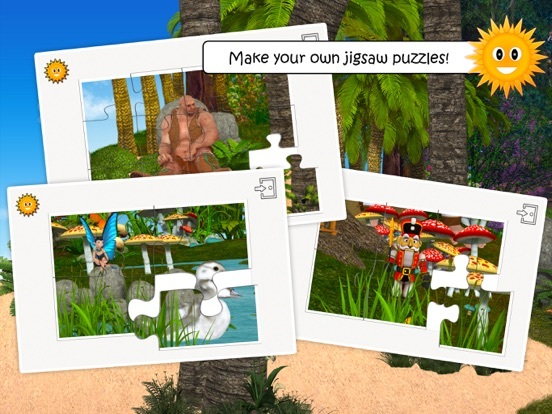 - Look for characters in the scenery and unlock the corresponding card. 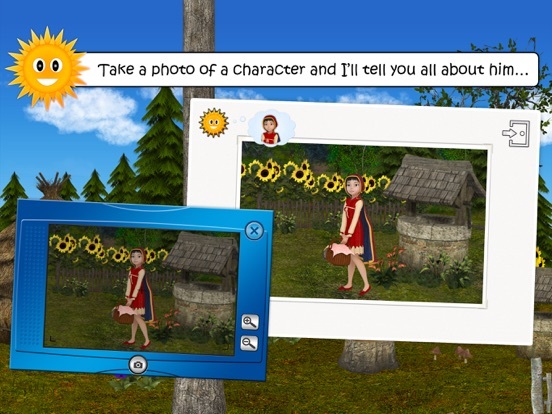 - Take a photo of them to unlock the audio commentary. - Find them fast before night falls. Then once it's dark, concentrate on the sounds. 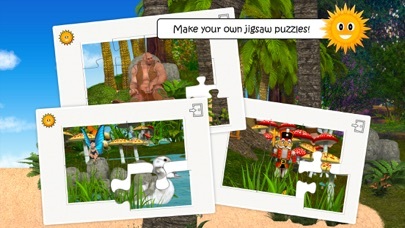 - Create your own jigsaw puzzles from 4 to 42 pieces. - Answer the quiz to win original photos. - The names of characters in several languages (French, English, German, Spanish). 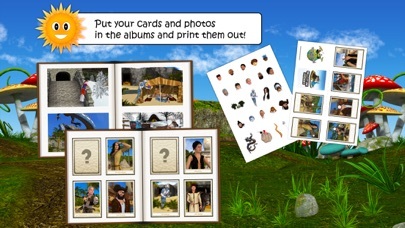 - Card album: all the cards unlocked during the game with the option of printing the album for a folding/collage game. 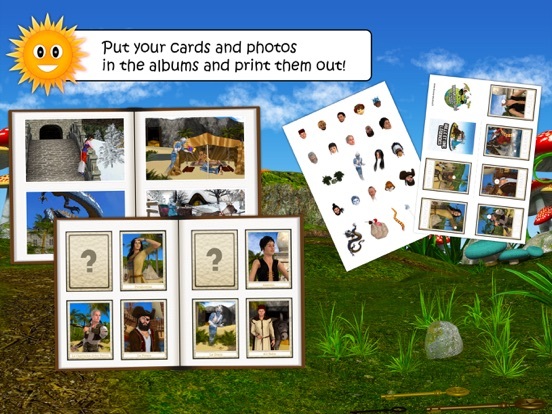 - Photo album: all the photos taken or unlocked during the game with the option of moving them and then printing an album. - Spoken help and instructions. 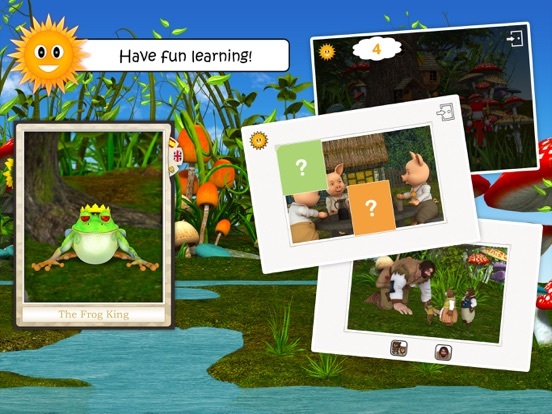 - Multi-player: each child can have their own settings. - No adverts, parental control. - Staying concentrated and paying attention. 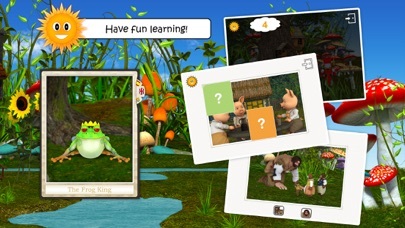 Contains 8 characters: The Three Little Pigs, the Big Bad Wolf, the Frog King, the White Rabbit, Gulliver, the Lilliputians, the Elf, the Little Mermaid. 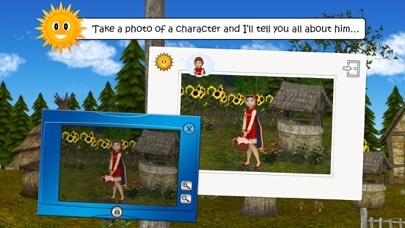 Contains 24 characters: The Three Little Pigs, the Big Bad Wolf, Little Red Riding Hood, the Three Bears, Goldilocks, the Ogre, the Little Mouse, the Tooth Fairy, the Gingerbread Man, Puss in Boots, the Nutcracker, the Frog King, the Queen of Hearts, the King of Hearts, the White Rabbit, Alice, Gulliver, the Lilliputians, Mother Nature, the Ugly Duckling, Tom Thumb, the Elf, the Giant, the Little Mermaid. 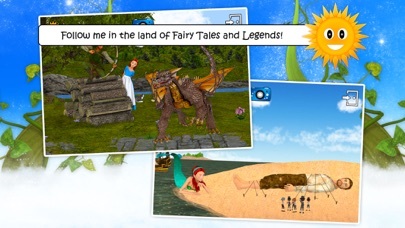 The Fairy, the Unicorn, the Dragon, Snow White, the Seven Dwarves, the Wicked Queen, Rapunzel, Cinderella, Sleeping Beauty, Beauty, the Beast, Prince Charming, the King, the Queen, the Knight, the Guard, the Magician, the Witch, the Ghost, Robin Hood, the Black Knight, the Skeleton King, the Golem, the Troll. The Genie, Aladdin, Sinbad the Sailor, the Cyclops, the Sultan, Scheherazade, Ali Baba, Sun Wukong - the Monkey King, Kitsune - the Fox Spirit, Mulan, the Emperor of China, the Huns, the Chinese Dragon, Kodama - a spirit of the forest, the Pirate, the Kraken, the Indian Chief, Pocahontas, Captain John Smith, the Snow Queen, Father Christmas, the Christmas Elf, the Yeti, Jack Frost.